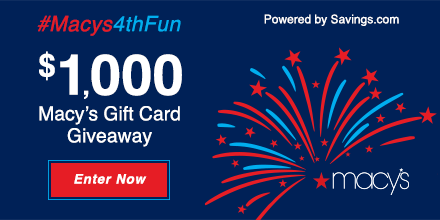 Enter the Visa Gift Card Giveaway on Savings.com today! Submit your email address for your chance to win a $100 Visa Gift Card. The winners (5 in all!) will be chosen via a lottery drawing and notified next Tuesday (6/28) via the email address you use to enter. 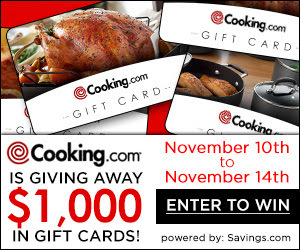 Enter the Cooking.com Gift Card Giveaway on Savings.com today! Submit your email address for your chance to win a $100 Cooking.com Gift Card. The winners (10 in all!) will be chosen via a lottery drawing and notified next Tuesday (11/18) via the email address you use to enter. 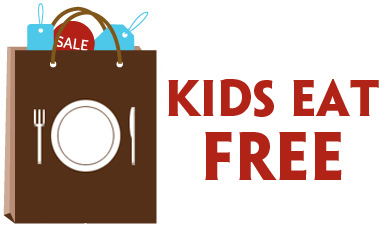 Have an aspiring cook on your shopping list? Check out the Cooking.com deals available now. 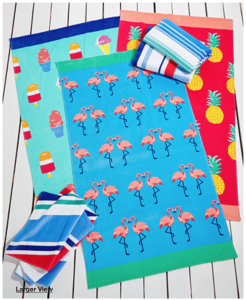 You can enjoy 15% off your order and FREE Shipping – just use promo code SAVE2014 during checkout! Some restrictions may apply. From gravy boats to carving sets – Cooking.com may have just what you’ve been looking for. 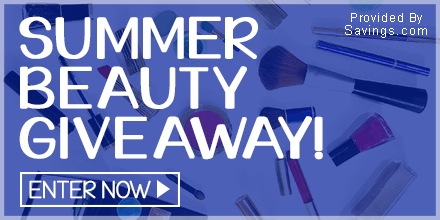 Login or register with Savings.com to enter to win a $25 The Body Shop gift card! 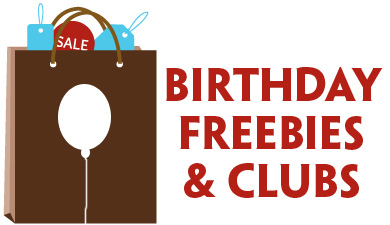 Forty lucky winners will be chosen and notified on Friday (11/7).